Apart from learning how to improve your voice, singing lessons also help develop your stage presence. This is very important especially if you plan to perform publicly or in front of an audience. Having the right amount of stage presence can make it easier for you because you will not experience stage fright anymore and you will just enjoy your time on the stage. This is different from singing in a group because this time, you will have to do it on your own. 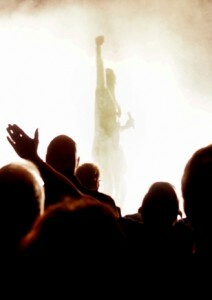 Some professional singers still experience stage fright because everyone is looking at them. It is as if one mistake can really make or break your career. But do not worry! There are things you can do to battle stage fright. The first one is to always be prepared. Even if it is just a small gig, it is necessary for you to do some preparations. Good preparation can remove the anxiety and the stress of having to perform in public by yourself. When you know you are prepared, you would not be as scared that you will commit errors. Feeling fearful can ruin your performance because it can make your throat muscles tighten. Your voice teacher will tell you that you should practice your piece until it becomes second nature to you. This way, there are fewer chances for you to forget the lyrics and your body has adjusted and prepared for the high notes in the song. Doing warm-ups are also necessary to ensure that you are relaxed and geared to go. Next, you should develop the confidence. You will feel more confident when you have had more singing lessons. Confidence is a powerful tool that you can utilize for all sorts of events. For you to be confident, you first need to be assured about your singing because you have practiced well and you did the proper vocal exercises that built power and strength. Now, apply the same mindset to the way you will perform on stage. Walk with confidence and your stance should tell the audience that you are ready to entertain and please them. Third, show the microphone that you are the boss. By that I mean that even the way you hold your microphone should say that you are an able singer. The microphone is a very effective tool you can use to make your performance more beautiful. When you are using the right microphone, you can build a greater connection with your audience and they can appreciate your song more. It is important that you test the microphone before you perform so that you know that it is not broken and you can see how you will hold it during your performance. 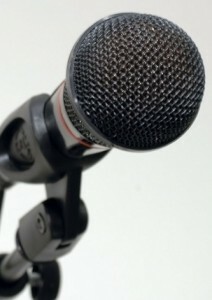 Look for the right angle and position of holding the mic so you can sing better. Also, you should decide whether it would be better if you leave the microphone on the stand or hold it throughout the performance. Third, remember what you have learned in your singing lessons. Remember the techniques, both vocal and physical, and know that these will help you well on your performance. Last is to own the stage by moving around it but you should still observe proper posture. Of course, you should never forget to smile and show the right emotions.